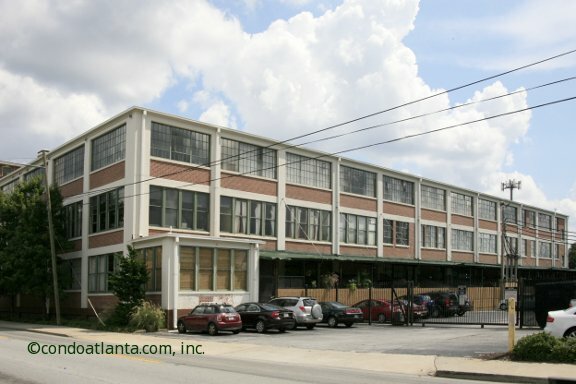 A&P Lofts is a community of authentic industrial style loft homes with controlled access parking located at 881 Memorial Drive near Cabbagetown, Reynoldstown and Atlanta’s Historic Oakland Cemetery! Enjoy all the benefits of the A&P Lofts location including access to the Atlanta Beltline, the Atlanta Dairies, Madison Yard, Glenwood Park, Krog Market, East Atlanta Village, and more! Community amenities include a roof-top deck from which to enjoy city screetscape and sunset views, a dog run, fitness facilities, and a club room for the enjoyment of homeowners.